Let your eyes enjoy this beautiful jeweled scenery as much as my eyes have. 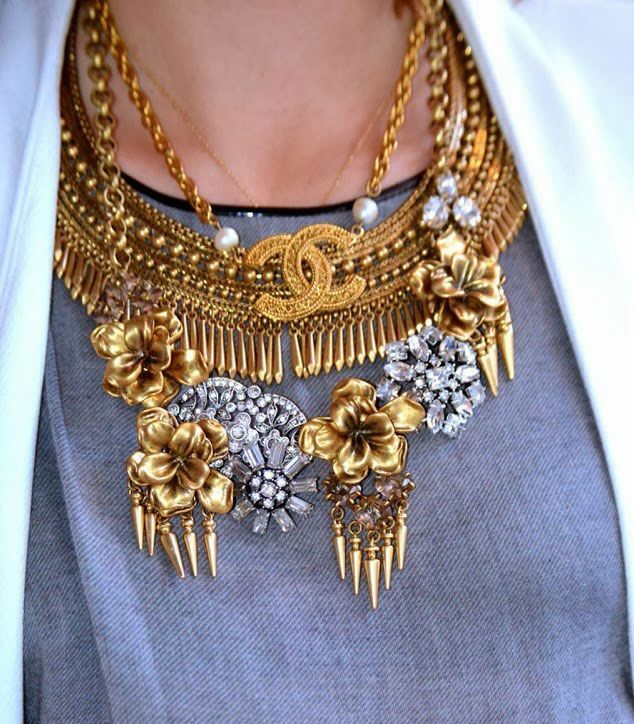 These stacked necklaces sang to my lusting heart and made me fall in love with statement necklaces all over again. The one truth that brings this genius-ness of jewelry together is that each necklace is already a gorgeous stand alone piece but by pairing them all together it has now become an explosion of a statement. I just love it! What do you think?